While in Manhattan to promote the Nov. 6 release of their album, Meat and Candy, RCA Nashville’s Old Dominion (“Break Up With Him”) paid a visit to Sony Music Entertainment’s New York office. 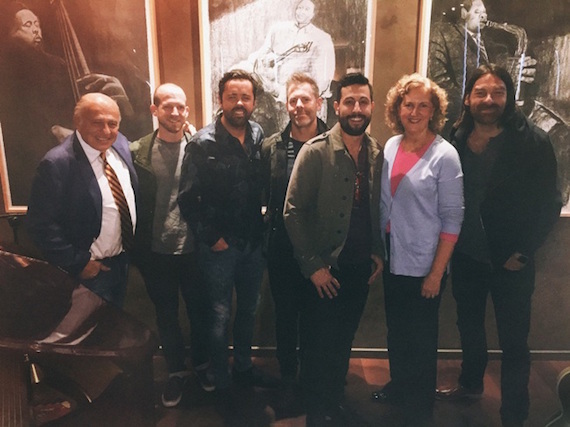 Pictured (L-R): Sony Music Entertainment CEO Doug Morris; Old Dominion’s Whit Sellers, Brad Tursi, Trevor Rosen, and Matthew Ramsey; Sony Music Entertainment EVP Business Affairs & General Counsel Julie Swidler; and Old Dominion’s Geoff Sprung. Hank Williams Jr. teamed with Eric Church for the video shoot for “Are You Ready for the Country,” Williams’ first single release on Nash Icon Records. The single will debut on Cumulus radio stations and become available for digital download on Nov. 4. Pictured (L-R): Eric Church, Hank Williams Jr. Photo: Nash Icon Records. 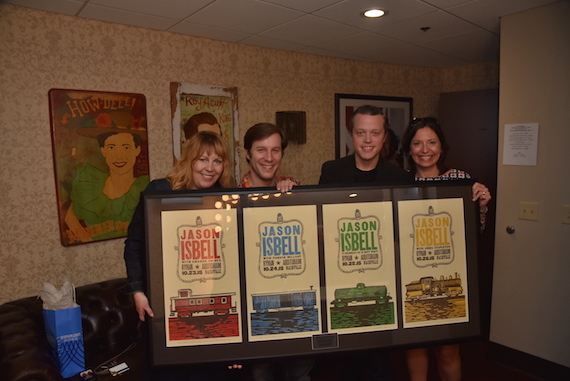 Jason Isbell celebrated four consecutive nights of sold-out shows at Nashville’s Ryman Auditorium with commemorative Hatch show prints for each concert. Isbell’s latest album, Something More Than Free, debuted at No. 1 on the Billboard country album chart in July. Pictured (L-R): Traci Thomas/Thirty Tigers; Brian Penix/NS2; Jason Isbell; Sally Williams/Ryman. Photo: Steve Lowry/Ryman Archives. 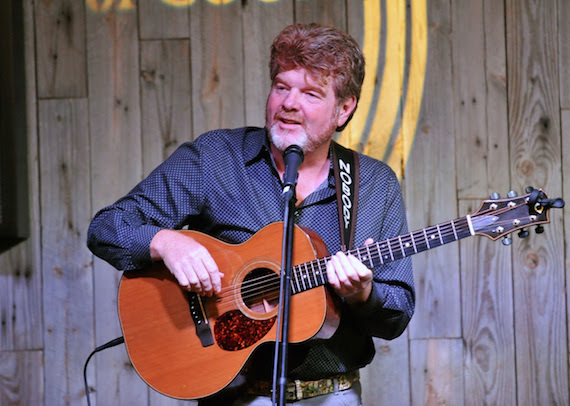 Mac McAnally performs at the ACM office in Los Angeles. The Academy of Country Music welcomed singer-songwriter Mac McAnally to its Los Angeles office recently. He performed songs from his album, AKA Nobody, along with some of his hits recorded by Alabama and Kenny Chesney. To view the performance, watch below.